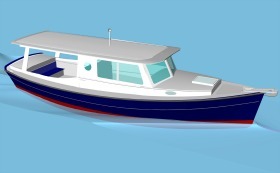 We have listed boats for sale as a service to customers who have built one of our designs. Here are a number of opportunities to own a unique boat of your dreams. We now have an exciting option for the Redwing 28. 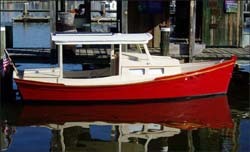 Developments are in the works to produce the Redwing 28 in rugged foam sandwich core fiberglass construction. This is a new exciting opportunity to own a Redwing 28 built to custom specifications. Orders now being taken for Spring 14 Delivery. REDWING 28: Email karl@cmdboats.com for more photos and information. Sail comfortably with family and friends in her generous cockpit. She is stable and can stand up to her rig. She is very fast on all points of sail. Owners report speeds of 8 knots in modest wind conditions. WINDWARD 24: Email hughes.hyslop@gmail.com for more photos and information. BAHAMA MAMA was designed for Gary Clements of GFC Boats. 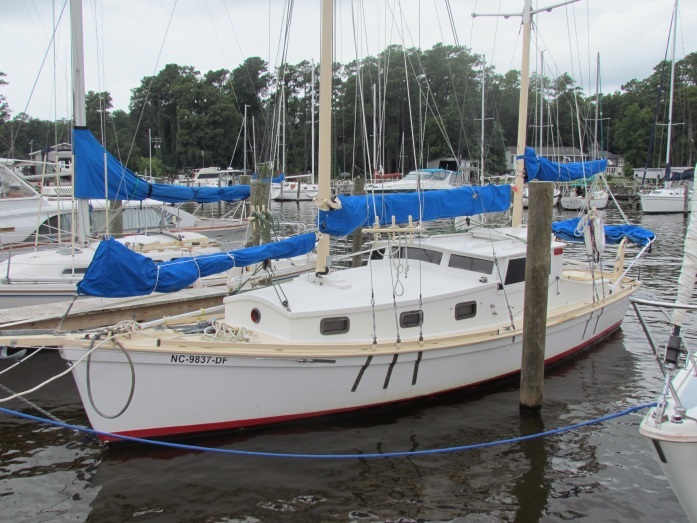 He wanted a shallow draft cruising sailboat to be built with modest means, have accommodations for 4 or 5 people, and standing headroom in the cabin. She has big boat capabilities. She is ideal for island hopping to a secluded anchorage. She will sit upright when the tide runs out [centerboard version]. BAHAMA MAMA 30: Email Mark Henley mccotter@beaufortco.com for more photos and information..
REDWING 18 Electric. 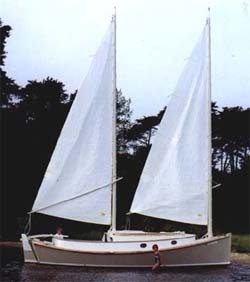 Built as part of a how-to article for WoodenBoat Magazine. New hardtop and electric version. [DOWNLOAD PDF description/photos]. REDWING 18. Email karl@cmdboats.com for more photos and information. We now have an exciting option for the TRAILER TRAWLER 28. The TRAILER TRAWLER 28 is in production in rugged foam sandwich core fiberglass construction. This is a new exciting opportunity to own a TRAILER TRAWLER 28 built to custom specifications. Orders now being taken by North Pacific Yachts. TRAILER TRAWLER 28. Email karl@cmdboats.com for more photos and information. ELECTRIC BOAT . Email karl@cmdboats.com for more photos and information. 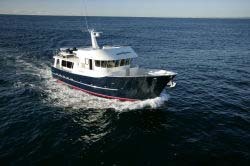 This newly built 58' Offshore Explorer Trawler is a big volume cruiser with range to go anywhere you want, world class interior with quality equipment, outfitting, and finish. Accommodations for 6. OFFSHORE 58. Email karl@cmdboats.com for more photos and information. 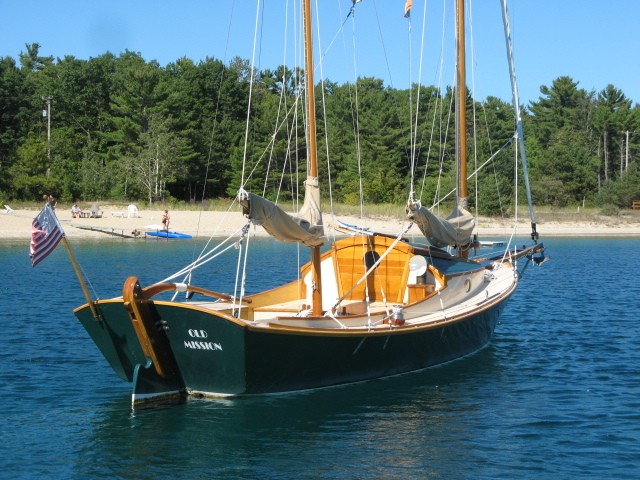 Great family daysailer � Quality material, teak trim and floorboards, recent refinish, complete with a trailer ready to go. Great deal to a good home. CATBIRD 24. Email karl@cmdboats.com for more photos and information. Contact us if you have a design by Chesapeake Marine Design or Windward Designs that you would like to sell and we will place a brief listing for you.